Hi friends, finally summer has arrived. It’s too hot now, and in this hot season, so taking care of diet in summer becomes very important for us to take special care of our health because in these hot days, mostly people get ill because they are not able to bear too hotness. In this summer, you must have to take care of your health, body, skin and every part of your body. On the other hand, you should also have to take very special care of your diet in this season. How to care your diet during summer? It is very hard to tell that how to take care of diet because each and every person has its own preference about food and when it is hot, then people eat those things that they liked the most. In this scenario, it becomes important to take care of your diet to keep you fit and healthy. In summer, diet needs the utmost attention. So here are the few ways for summer diet and which will help you to beat the hotness of this summer season. Include liquid components in your dietary. Do you know liquid intake is vital for human body, especially in dry weather? Yes, beverages are crucial for our body and mainly when the season is dry or hot. Thus, in summer you must have to consume beverages. A huge range of liquid components are available and you can make it part of your diet. Beverages such as cold coco, chaas, ice tea, cold coffee; all are considered as summer cooler and satisfied your thirst quenchers. Moreover, you can make some mocktail or include aam pana and lassi, because both have nutrients which keep our body healthy. The most common, lovable seasonal fruit of summer is Mango. It is rich in antioxidants and having vital nutrients which deliver a lot of health benefits. So, it is very important to include mango in your diet. You can eat mango directly or drink mango shake. In addition, musk melon and watermelon are the other fruits which are rich in fibre and water and renowned as the natural thirst quenchers. Make some salad of fresh veggies like boiled kidney beans, zucchini, freshly ground pepper, lettuce, a hunt of soya sauce and salad oil. It is preferable to eat salad before meal and you know, salad work as delicious filler for both healthy and light food. In summer season, it is preferable to incorporate fibre rich food in your diet as well as try to avoid high carb food. Less carb and more fibre food will help the metabolic process and make your immune system good. Fibre rich food will staisfied your hunger and gives you a healthy body. Thus, try to avoid the food and vegetable which has rich source of carbs. Breakfast: Fruits are the natural source of energy, so eat 2 or 3 fruits in your breakfast. It will neutralize the stomach acids as well as you will feel active throughout a day. Mid Morning: After breakfast, you can consume coconut water or buttermilk to refresh yourself. Lunch: Eat full bowl of salad and 2-3 rotis with veggies and dal. Evening: Have some fruit yogurt, it keeps you fresh and active. Dinner: In summer, try to eat less in dinner. You can eat stir fried veggies or chilled soup with low fat panner and jaljeera or lemon juice. The above diet is healthy for your body because it is less in fat, medium in protein and high in good compound carbs; all these things will control the obesity, cholesterol level and blood pressure. Therefore, in this summer season be healthy and cool, by choosing the correct and appropriate diet. 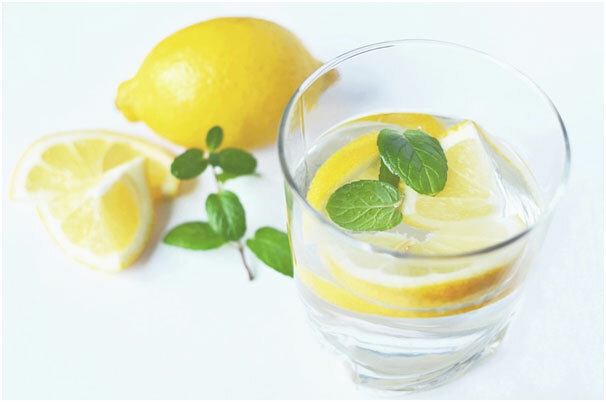 Simple lime water can refresh you as well as it has several health benefits. You can intake lime juice in sweet, salted flavour or you can add cumin powder or black salt to add extra flavour in it. Summer can’t be end without ice creams. So, have some ice candies or tempting ice creams. You can eat ice creams that are available in the market or you can make some at your home as well. Onion has the cooling properties as well as it is rich in quercetin which is considerd as natural anti-allergen. You can add onion in your salad, raita, chutneys and so on, it will keep you cool. Lots of onion will prevent you from the sunstroke. Melons has nearly 90 percent water, so water melon in fruit salad or a glass of water melon juice will hydrate you and keep you cool. Cucumber is a great source of fiber and help your body to keep constipation at bay. Cucumber keeps you stay cool and it is easily available in the market and cost little. Coconut water is loaded with health benefits and has amazing cooling properties. It has electrolytes and all the essential minerals which hydrate your body in a healthy and natural manner. Coconut water has anti aging and cancer fighting properties. Never forget to eat delicious curd in summer or hot days. You can make several stuffs with curd such as spicy buttermilk, lassi, raita or chachh. On the other hand, you can add different fruits in curd to make a delicious dessert. These are the few ways and tips though which you can stay cool and healthy in the summer season as well. Be specific with your diet because wrong diet can lead to some illness and these hot days really affect our body a lot and make us lazy to do work. Previous articleHow to Choose a Perfect Natural Face Cleanser for Your Skin?